Intel CEO Brian Krzanich demonstrated Intel-developed designs for wearable devices including smart earbuds with biometric and fitness capabilities, an always-on smart headset that integrates with existing personal assistant technologies, and a smart wireless charging bowl. Krzanich announced strategic collaborations with luxury retailer Barneys New York*, the Council of Fashion Designers of America* and international design house and curator Opening Ceremony* to explore and bring to market smart wearable technology. He debuted Intel® Edison, a new Intel® Quark technology-based computer housed in an SD card form factor with built-in wireless capabilities and support for multiple operating systems. Krzanich disclosed a global “call to innovation” campaign with the Intel ‘Make it Wearable’ challenge. CEO said Intel plans to offer elements of McAfee mobile security products for free to help guard today’s most popular mobile devices and will introduce Intel Device Protection technology this year to improve enterprise security of all Intel-based Android* mobile devices. He unveiled the Intel Security brand, which will be used to identify all Intel security products and services, and said that McAfee products will transition to the Intel Security brand over time. India, 09 January, 2014–Intel Corporation CEO Brian Krzanichtoday outlined a range of products, initiatives and strategic relationships aimed at accelerating innovation across a range of mobile and wearable devices as well as individual inventors’ own connected creations. He made the announcements during the pre-show keynote for the 2014 International Consumer Electronics Show to be held here this week. Krzanich’s keynote painted a vision of how the landscape of computing is being re-shaped and where security is too important not to have it embedded in all devices. The world is entering an era of integrated computing defined not by the device, but by the integration of technology into people’s lifestyles in ways that offer individuals new utility and value. 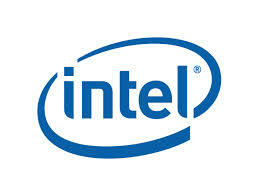 As examples, he highlighted several immersive and intuitive technologies that Intel will begin offering this year. For example, the company is bringing human senses to Intel-based devices in a new family of hardware and software products called Intel® RealSense™ technology. Intel’s CEO also discussed how Intel is addressing two critical issues casting shadows over the consumer electronics industry: data and device security and conflict minerals from the Democratic Republic of the Congo (DRC). He said Intel had achieved a critical milestone and the minerals used in microprocessor silicon and packages manufactured in Intel’s factories are “conflict-free” as concluded by third-party audits or direct validation by Intel’s supply chain organization. Krzanich said Intel is actively pursuing a range of products and initiatives, with the goal of accelerating wearable device innovation. Intel’s approach to this next evolution in computing is to imagine and create reference design devices and platforms ready for use by customers in developing wearable products, he said. Intel’s CEO highlighted number of wearable reference devices, including smart earbuds that provide biometric and fitness capabilities, a smart headset that is always ready to engage and can integrate with existing personal assistant technologies to make the consumer experience more intuitive, and a smart wireless charging bowl. The Intel CEO also announced collaborations with Barneys New York*, the Council of Fashion Designers of America* and Open Ceremony* to explore and bring to market new smart wearable technologies, and to increase dialogue and cooperation between the fashion and technology industries. He also kicked-off the Intel ‘Make it Wearable’ challenge, a global effort aimed at accelerating creativity and innovation with technology. The effort will call upon the smartest and most creative minds to consider factors impacting the proliferation of wearable devices and ubiquitous computing, such as meaningful usages, aesthetics, battery life, security and privacy. In addition to developing reference devices for wearable technology, Intel will offer a number of accessible, low-cost entry platforms. These are aimed at helping lower entry barriers for individuals and small companies to create innovative Internet-connected wearables or other small form factor devices. Underscoring this point, Krzanich announced Intel® Edison, a new Intel® Quark technology-based computer housed in an SD card form factor with built-in wireless capabilities and support for multiple operating systems. From prototype to production, Intel Edison will enable rapid innovation and product development by a range of inventors, entrepreneurs and consumer product designers when available this summer. Krzanich also unveiled the Intel Security brand, which will identify Intel products and services in the security segment, and disclosed plans to transition McAfee* products to the Intel Security brand while retaining the familiar red shield. Krzanich announced that Intel plans to offer elements of McAfee’s award-winning security solutions for mobile devices for free. These data and device protection solutions help guard today’s most popular mobile devices, including Apple* iPhone, Apple* iPad and Android* devices. More details will be announced in the coming months. As corporate “bring-your-own-device” programs have grown in popularity, many firms have prohibited Android*-based devices that weren’t compatible with their companies’ security requirements. Intel Security this year will offer Intel Device Protection technology, which will help Intel-based Android* mobile devices meet most security standards for use at home and work. The DRC has been plagued for years by regional conflict. According to a report to the United Nations Security Council Committee, a source of funding violence for armed groups includes the trade of mineral products from the DRC. Some of these so-called “conflict minerals” are in many kinds of products, including electronics. Intel has implemented a process within its supply chain organization to validate that its sources – the smelters that provide tantalum, tin, tungsten and gold used in microprocessor silicon and packages manufactured in Intel factories – are not inadvertently funding this conflict in the DRC. Krzanich challenged the entire electronics industry to join Intel in its efforts.